Up for some rock-climbing wisdom? Don't be a stranger to danger: Develop the mentality and skill set to handle adventures gone awry with a Rock Rescue Course! 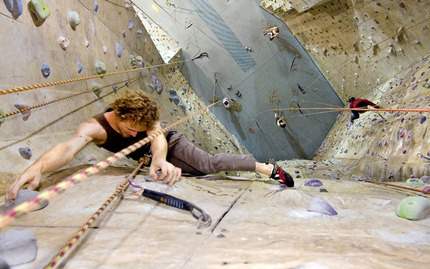 Build your cool under the guidance of experienced rock climbers. Learn how to handle common emergency situations, including injury. 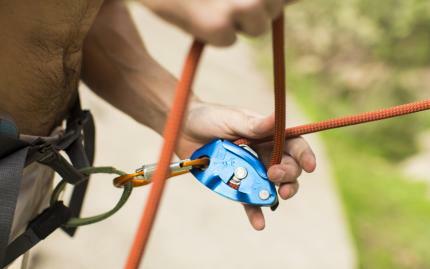 Skills covered include knots for rescue, belaying, hauling, lowering, and essential rescue gear. This class is designed for both new and experienced climbers as a refresher course. It's everything you need to know for everything you hope doesn't happen on the rocks. 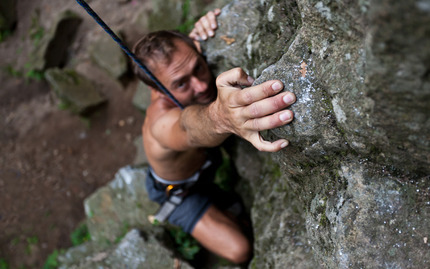 Note: Climbers will be responsible for providing your own harness, helmet, and rock climbing shoes. Climbers are welcome to bring any other gear you have to be inspected or shown how to properly use. Trips cancelled by you greater than 30 days from the trip start date is (1) refundable in the amount of 50% of the total trip cost, or $150, whichever is less, for administrative costs, or (2) credited in the amount of 100% of the total trip cost to another Kaf course. Trips cancelled by you 30-10 days from the trip start date is (1) nonrefundable, or (2) credited in the amount of 100% of the total trip cost to another Kaf course. Trips cancelled by you less than 10 days from the trip start date is (1) nonrefundable, or (2) credited in the amount of 50% of the total trip cost to another Kaf course, while 50% of the total trip cost is retained by Kaf for unrecoverable expenses. I've had three experiences this spring/summer with Kaf, each one has been incredible. I signed up for a fundraiser climb through AEX who partners with Kaf Adventures for mountaineering training and trips. My first training was at their office, Intro to Mountaineering, where they provided us with training guides and walked us through all the basics of mountaineering fundamentals. The third training was a 3 night trip up Mt Rainier via Emmons Glacier. Paul, Archer and Austin again led our group (3 clients) up, up and to the summit! They were very attentive to everyone's condition the entire time - climbing Rainier was physically & mentally exhausting, and they knew when to encourage us to press on & hold back when needed. I definitely plan to climb more mountains in the NW and continue my training through Kaf Adventures. Absolutely recommend them to anyone who's excited to learn how to handle themselves up high. My partner Ross Eckert and I took the Intro to Mountaineering Course on Mt. Shuksan in early September. Archer and Amber were such amazing instructors as well as generally awesome people. The weather was just a little less than ideal (pretty much constantly wet and cloudy) but their attitude and advice made the experience even that much more meaningful. They thoroughly taught us the skills we set out to learn and happily answered all of our questions. The insight they provided has left a lasting mark and we can't wait to continue this journey. We hope to definitely keep in touch and couldn't recommend Kaf Adventures enough!! My husband and I joined KAF for their intro to mountaineering course to Mt. Baker. I was a bit apprehensive about taking the course, having no mountaineering or real climbing experience. My concerns were quickly put to rest with the close communication provided with the owner and his incredible staff. They made sure all questions were answered and ensured that we were prepared for our trip with all details being covered beforehand. Once were were on the mountains the instructors Paul, Matt and Archer ensured that we were always comfortable, warm, well fed, rested and fully educated before we moved on to the next phase of learning. I cannot express just how awesome and down to earth these guys were versus some other companies that are profit and ego driven. The love and appreciation of the outdoors was shared by them, and they not only were they guides but more importantly educators sharing their wealth of knowledge and giving us the confidence we needed as beginners. They took the time to get to know each one of us personally, and worked with us individually on our strengths and weaknesses. I look forward to moving on to our next level of education with KAF in the future and thank them for such a great experience. We had an awesome time! The staff (Paul, Matt & Archer) were incredibly friendly, professional, helpful & knowledgable. I would recommend this course to anyone interested in the mountains. The staff had vast experience & kept the group's spirits up during a fierce storm (even building us snow walls during the storm to protect the tents). The instructors kept us safe & comfortable during less than ideal conditions. It was very apparent that they have a passion for their work & for the mountains. I would CERTAINLY recommend this KAF Adventures & the Intro to Mountaineering course. Thanks again Paul, Matt & Archer! Had a blast climbing on Mount Erie this past weekend! Kevin was great -- a skilled guide with a calm, positive voice that helped us get comfortable, trust the equipment, and reach higher. Thanks for a great climb! If you are considering going on an adventure with this company, read no further. Lay your money down and start planning for the fun they will add to your life. You will wish you had done it sooner. They were fun, professional, entertaining, kind, serious about safety, seriously in love with their jobs and serious about keeping their guests on track to having a great adventure. You will be glad you did. Oh what a day we had at exit 38 with Nate and Keenan! I contacted Kaf before we came to Seattle and they were wonderful in their communication thanks to Rikki. Climbing day Nate and Keenan met us at South Bellevue park and ride and then were so friendly and professional in their instruction and guiding and so encouraging to our young teens. We had the best day of rock climbing ever. We'll be coming back no question!